The Renegade Express shuttle waits for riders outside the administration building. 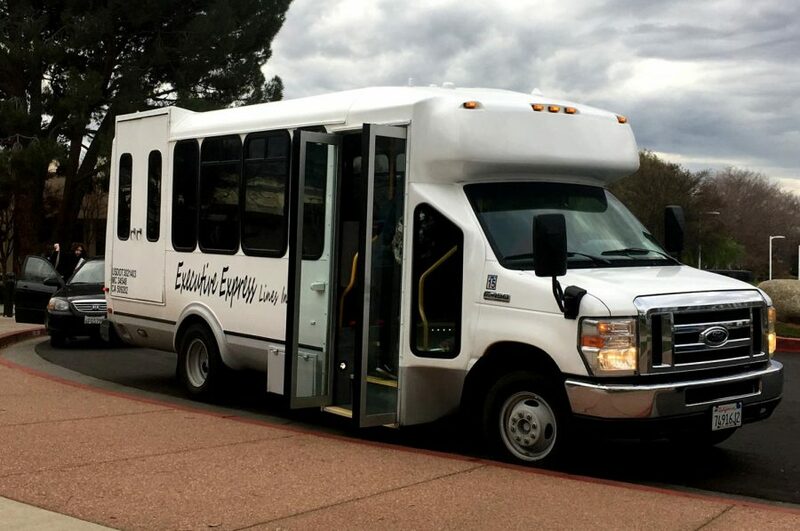 For students who might need rides between campuses, Bakersfield College has partnered once again with Executive Express to provide free rides to students across different campuses. The shuttle service was introduced last fall as a way to provide transportation for students to help reduce traffic and parking lot congestion. 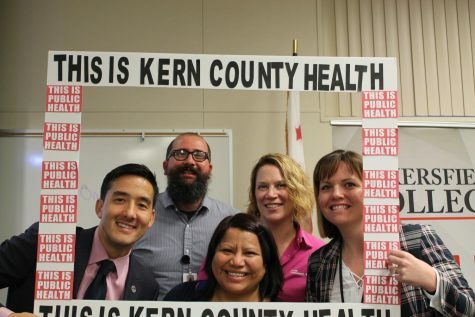 The Renegade Express runs from the Weill Institute in downtown Bakersfield to the Southwest campus center, until finally arriving at the Panorama Campus. 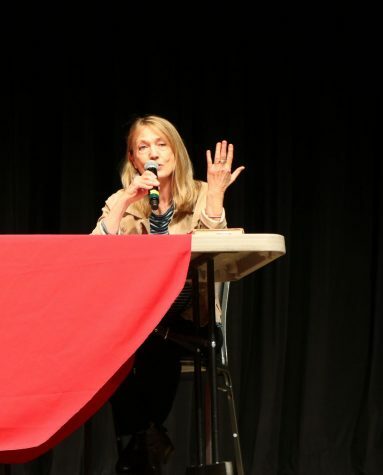 Tamara Baker, the program manager, explained that the schedule was created with careful consideration for different factors such as class time, commute time, and traffic. “The Renegade Shuttle was the brainchild of President Sonya Christian and former KCCD Trustee Bill Thomas. President Christian has made accessibility to the campuses and thereby education a priority when planning for the semester. 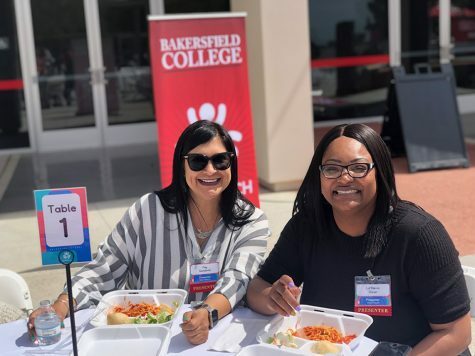 As Bakersfield College has expanded to the Southwest campus, it was important to both President Christian and Mr. Thomas that the Renegade Express Shuttle tie the two campuses together,” Baker explained. 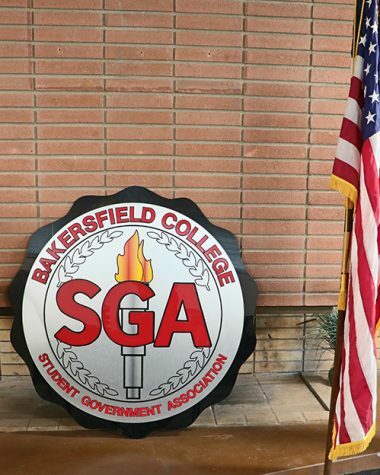 For Eva Shumway, a Bakersfield College student who lives by the southwest campus, the Renegade Shuttle has been helpful so far in helping her get from the SouthWest Campus to the Panorama campus. “Last semester I had one class on each campus, Weill Institute, SouthWest and up here. 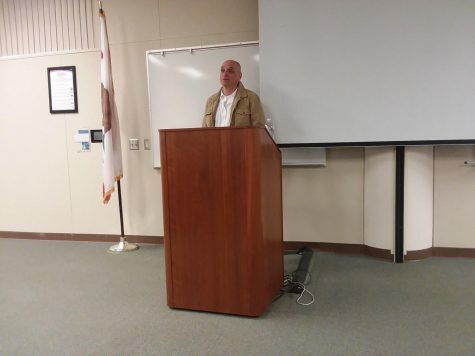 Talk about shuffling cards… last semester I also had a car, but because of a disability I now have to take the bus…I think it should be a normal program because there are too many people that have disabilities here,” Shumway said. Shumway further explained how the Shuttle has helped people who ride the GET Buses as well. “The GET buses, which cost even those with disabilities, it takes too long. You have to go downtown, you have to transfer to another bus then you have to go all the way to another site and then you have to walk from that site to a campus, so you’re looking at two hours before your classes even start, so yes, I think this should be a regular thing for students, like I said especially students with disabilities and handicaps, and maybe even age,” Shumway said. “People with disabilities need something on their side, this is a great program,” she continued. According to Baker, the services are only scheduled to run for the duration of the spring. The number of students who ride the shuttle show a fair amount of use from the fall semester. This semester the numbers are also being tracked, possibly for future reference for the evaluation. “We have been tracking the numbers and found that 2,026 students used the shuttle for the fall semester. These numbers might show a duplicated headcount as we are unable to track each individual student,” Baker explained. The shuttle runs every Monday through Thursday from 7 a.m. to 7 p.m. The only exceptions are holidays, during which the shuttle will not run.